Register to Win our Bride of the month contest. Each month a lucky bride will win hundreds of dollars in services and discounts from our sponsors. 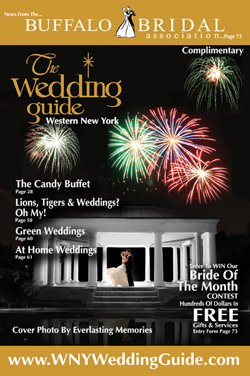 Every month we choose one Buffalo Bride to win our Buffalo Bride of the Month Contest. Fill out the registration form to enter. You might just be our next winning Buffalo Bride! Prizes include FREE Gifts, Massive Discount Certificates, Register today to win! !